Three suspects are in custody after a bizarre pursuit came to an end in Mesa on Wednesday. ABC15's Zach Crenshaw has the latest. 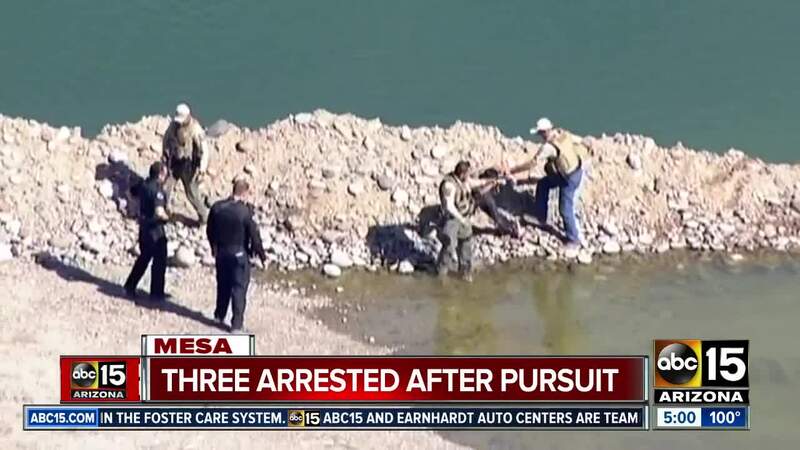 Three suspects have been taken into custody by law enforcement after a pursuit ended in Mesa on Wednesday afternoon. 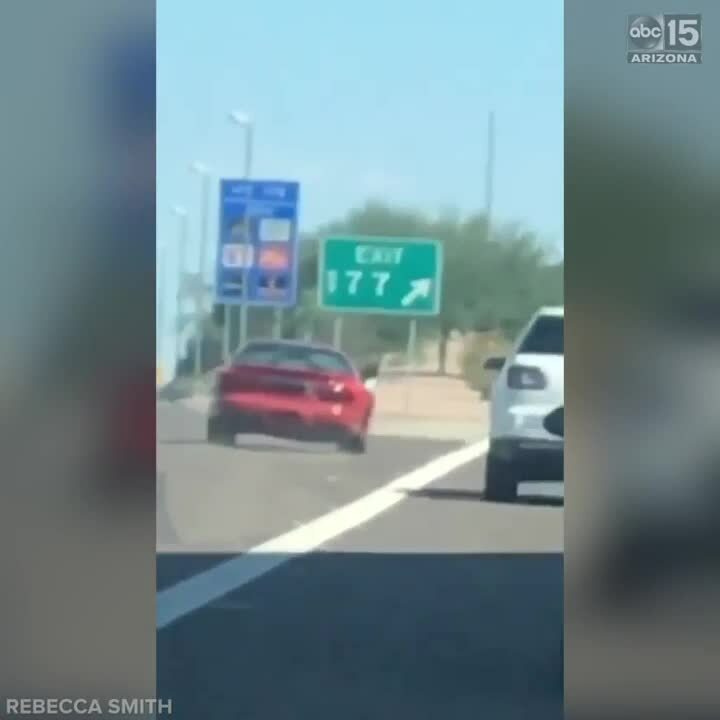 According to the Arizona Department of Public Safety, just before 2 p.m., troopers tried to stop a vehicle that was traveling eastbound on the US-60 at the Loop 101 transition for fictitious registration tags. Officials say the vehicle took off which prompted a short pursuit that troopers terminated at 2:15 p.m. after notifying the Mesa Police Department. Take a look at the map below for key points in the Wednesday afternoon pursuit. Two men in the vehicle then bailed from the pursuit vehicle on foot near Loop 202 and Greenfield. They have been identified as 20-year-old Antonio Canales, and 19-year-old Kevin Quezada. Officials say a female suspect stayed with the vehicle. She has been identified as 19-year-old Dezare Navarro. Air15 video showed law enforcement taking one of the men into custody as he was under a large tree. 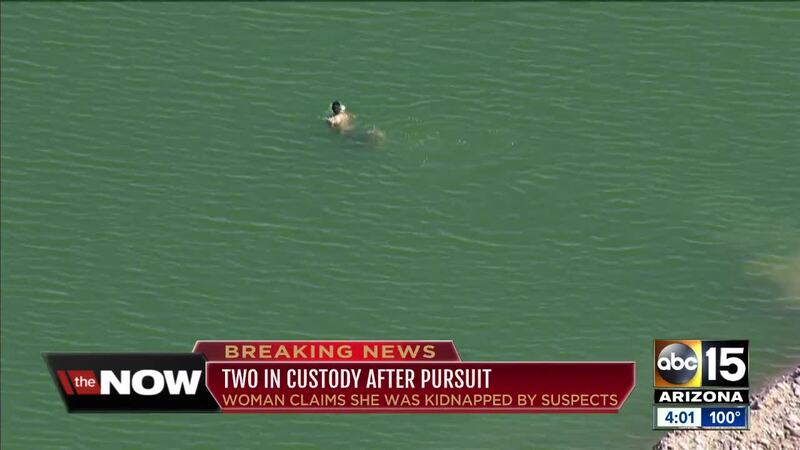 Moments later, Air15 showed the second suspect wandering by a nearby quarry. 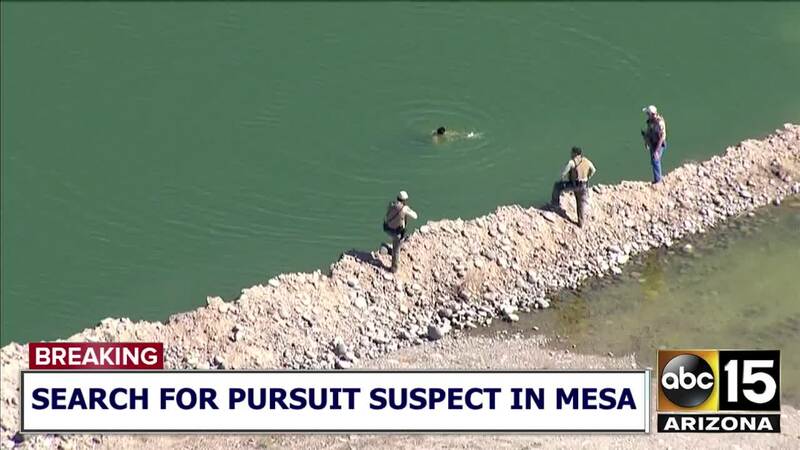 The suspect then jumped into the water and began to swim for a few minutes, before eventually swimming back to shore where he was taken into custody by law enforcement. DPS has not clarified which man was arrested under the tree or on the water shore.